Great Newer Manufactured Home Built in 2006! 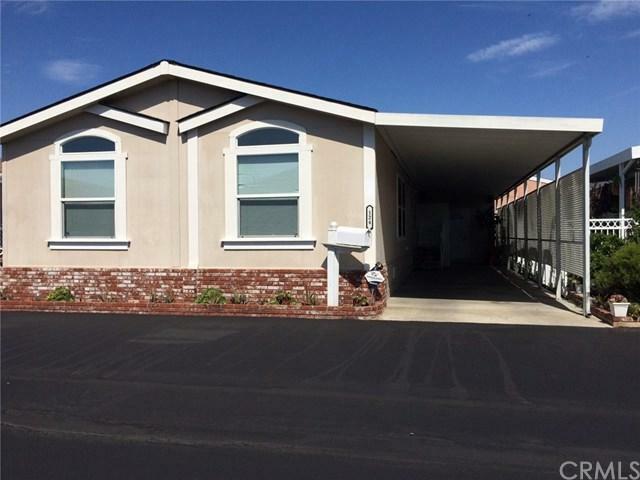 Located in Pacific Sunset Mobile Home Estates, Open Floor Plan, 3 bedrooms, Den/Office (could be 4th bedroom! ), 2 full bathrooms, Separate Dining Room, Indoor Laundry Room (Washer and Dryer included), Steel Framed Foundation, Cement Board Siding, Dual Pane Windows, Central Air conditioning, Ceiling Fans throughout, Water-softener System. Kitchen has newer counter tops, Center Island, breakfast bar, Skylight, and double door refrigerator Included. Master Bathroom has Dual Sinks, Separate Shower and Upgraded Walk-in American Standard Tub. Master Bedroom is Separate from the rest of the Bedrooms for added Privacy. Brick planters and Auto Sprinklers in Front, Brick Steps leading to side door, upgraded 100 Amp. Electrical Box, Upgraded Built-in Storage Shed complete with lighting, R4 Insulation, Water Filtration System, fenced for dog run, long concrete driveway. Only one owner so far! Make this place your Home Sweet Home!